She's Fantastic: Star Wars 6" Black Series - AHSOKA TANO! Star Wars 6" Black Series - AHSOKA TANO! Ahsoka Tano is exactly the type of figure I was hoping for when the 6" Black Series was announced all those years ago. As much as I love Rey and Leia, they aren't the most visually exciting characters. My favorite thing about the Star Wars universe is the various alien races. And there are tons of great alien females that I would love to see in this style (Hera Syndulla, Aayla Secura, Shaak Ti, Asajj Ventress, Luminaria Unduli, Taun We, etc. 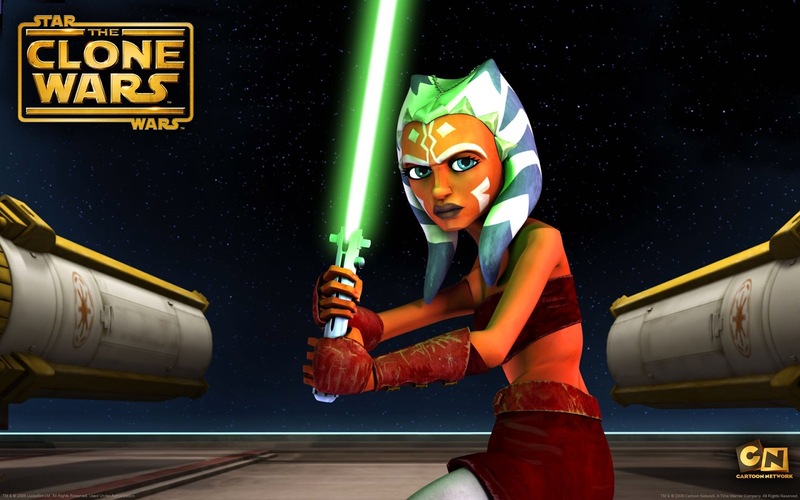 ), and Ahsoka Tano is a great start to the roster. Ashoka first appeared in Star Wars: The Clone Wars as a Padawan apprentice of Anakin Skywalker. She was one of the central characters in that series, as well as in the current series Star Wars: Rebels. I think it's great to see an animated character stylized in a lifelike way to fit in with the movie lines. I know they are also doing this with the upcoming Sabine Wren, and I hope the trend continues. Mostly because the expanded universe incorporates many more alien females. Fingers crossed! Let's check out Ahsoka Tano below! Ahsoka comes with two lightsabre accessories. I kind of hate her bent one. It's such weird design and I always think it looks broken. She does not come with a figure stand, but she does have peg holes in her feet. 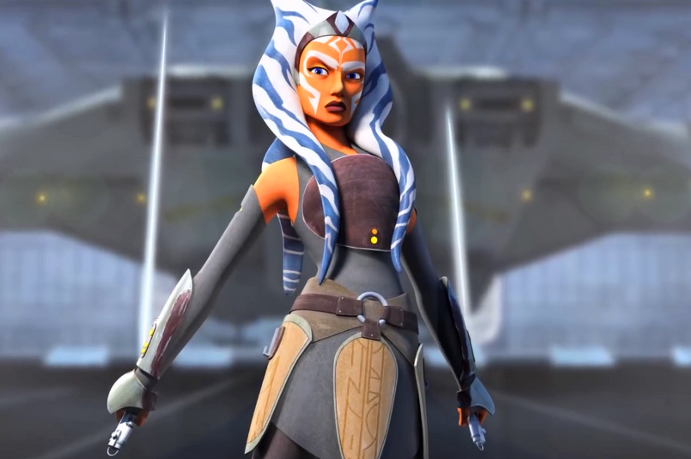 Here is Ahsoka's first look from The Clone Wars series. And here's her more recent look in Star Wars: Rebels. Note the two hooks on her hips. The handles of her lightsabres have holes to hang on these hooks, but with her weapons always "turned on", they look pretty silly hanging there (not to mention dangerous). From Left to Right: Leia (Slave Outfit), Rey, Ahsoka Tano, and Leia (Boushh Disguise). If this is anything like the other Star Wars Black figures, those blades are removable. They generally take a bit of a tug to come loose though as they're tightly fitted in. Thanks you are very correct! I read you message and was scared to try because I broke literally half of my Gothitropolis staffs trying to take them apart to put them back together. But these lights ares came apart easily. I'll add a few updated pics soon. Thanks again!